Miller (Chatham, 2004-05), who was elected to the Cape League Hall of Fame in 2012, received the Mariano Rivera American League Reliever of the Year award Wednesday, while Donaldson (Harwich, 2006) was named winner of the Hank Aaron award Saturday as the AL’s outstanding offensive player. Miller and Mark Melancon of the Pittsburgh Pirates received their awards in Kansas City before Game 2 of the World Series. Melancon won the Trevor Hoffman National League Reliever of the Year. Attending the ceremony at Kauffman Stadium were Baseball Commissioner Rob Manfred; Rivera, the all-time saves leader with 652; Hoffman, who ranks second with 601 saves, and Doug Elliot, president of The Hartford, which sponsors the two awards. 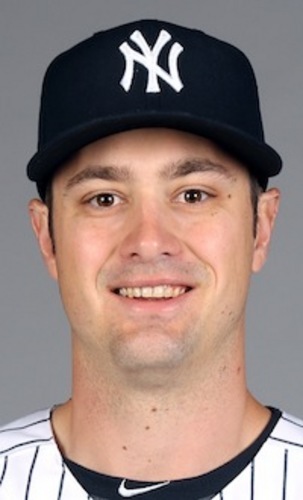 Miller (60 games, 3-2, 2.04 ERA, 61 2/3 IP, 100 strikeouts, 0.86 WHIP) converted 36 of his 38 save opportunities (an AL-best 94.7 percent) in his first season with the Yankees while averaging an AL-best 14.59 strikeouts per nine innings. The 10-year veteran from UNC limited opponents to a .151 batting average. Miller and Dellin Betances both hit the 100-strikeout mark – a franchise first for relievers – as the New York bullpen set a single-season MLB record with 596 strikeouts, a key reason the Yankees reached the postseason. Melancon (78 games, 3-2, 2.23 ERA, 76 2/3 IP, 62 strikeouts, 0.93 WHIP) completed the second All-Star season of his seven-year big league career by leading the majors with a .962 save percentage and 51 saves, the sixth-highest single-season total in NL history. The Colorado native, one of just 12 pitchers in MLB history to post a 50-save season, anchored a Pirates bullpen that posted the lowest ERA (2.64) in the majors en route to the club’s third consecutive postseason appearance. Balloting was conducted by a panel of eight all-time great relievers in order to determine the recipients of the Rivera and Hoffman awards, which debuted in 2014. Rivera and Hoffman were joined on the panel by Hall of Fame relievers Dennis Eckersley, Rollie Fingers and Bruce Sutter, as well as the three relievers who round out the top five in career saves – Lee Smith, John Franco (Cotuit, 1980) and Billy Wagner (Brewster, 1992). The eight voters ranked the top three AL relief pitchers and the top three NL relief pitchers based solely on regular-season performance, using a 5-3-1 weighted point system. A 6-foot-7, 210-pound left-hander, Miller was originally drafted and signed by the Detroit Tigers, who made him their first-round pick (eighth overall) in 2006 after two outstanding summers in the Cape League and a brilliant three-year career (27-9, 2.77 ERA, 325 strikeouts) with the Tar Heels. The Gainesville, Fla., native was 2-0 with a 2.02 ERA for Chatham in 2004 and followed with an even more impressive 6-0, 1.65 ERA performance in 2005. He pitched in seven games, all starts, in each of his CCBL seasons, totaling 89 innings. He allowed just 41 total hits and 18 earned runs. He struck out 48 batters in ’04, averaging 10.8 per nine innings, and improved to 66 K’s in ’05 for a nine-inning average of 12.12. Miller’s ’05 heroics earned him two of the Cape League’s major awards – the Robert A. McNeece Outstanding Pro Prospect award and the B.F.C. Whitehouse Outstanding Pitcher award, the latter shared with Tim Norton of Falmouth and UConn. Those two Chatham teams featured several pitchers, in addition to Miller, who eventually reached the major leagues. David Huff and Bobby Parnell were fellow members of the ’04 staff and Huff, Jared Hughes and Brooks Brown were there in ’05, along with future big league position players Todd Frazier, Chris Coghlan, Alex Presley and Evan Logoria, the league’s Most Valuable Player. Melancon and Miller were bullpen mates in Boston in 2012, combining for 94 appearances that season. In 2015, they appeared in their third consecutive postseasons, and both were closers on the teams that fell short in the wild-card games, although there was no save situation in those finales. Miller became the first pitcher in Yankees history to convert his first 24 save chances (from April 8-Aug. 6), according to the Elias Sports Bureau. Since the inception of saves in 1969, this marked the third-longest save streak to begin a career with a new team, behind only Brad Lidge (first 44 save chances in 2008-09) of the ’08 World Series champion Philadelphia Phillies and Willie Hernandez (first 32 save chances) of the ’84 World Series champion Tigers. Miller also missed 25 games this season (June 10-July 8) because of a left flexor forearm muscle strain. The Rivera and Hoffman awards replaced MLB’s “Delivery Man of the Year award,” which was presented to one winner in all of MLB from 2005-13. Donaldson and Washington outfielder Bryce Harper, the front-runners for the Most Valuable Player awards in the American League and National League, respectively, were named winners of the 2015 Hank Aaron award by MLB Commissioner Manfred prior to World Series Game 4 at Citi Field in New York. The 29-year-old Donaldson batted .297 with a .371 on-base percentage and a .568 slugging percentage in 158 games. He ranked first among MLB leaders in runs scored (122), while leading the AL in RBIs (123) and extra-base hits (84). Donaldson also ranked second in slugging percentage, third in home runs (41) and fifth in hits (184). Also, 27 of Donaldson’s homers either tied the score or gave his club the lead. At Brewster in 2006, Donaldson fashioned a batting line of .302/.382/.456 in 39 Cape League games. The Auburn product, who will turn 30 on Dec. 8, led the Whitecaps in nearly every offensive category – batting average (.302), hits (45), runs (23), home runs (4), doubles (11) and runs batted in (21). The Chicago Cubs selected him in the first round (48th overall) of the 2007 amateur draft, but sent him to Oakland in July 2008, part of a five-player trade in which former Wareham outfielder (2001-02) Matt Murton also went to the A’s. 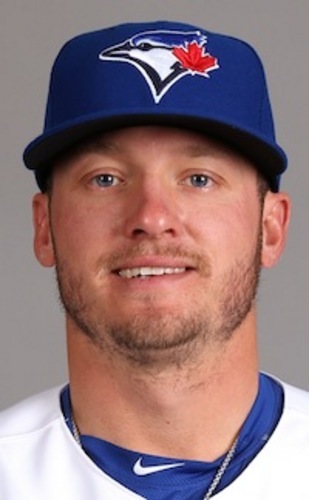 The Blue Jays acquired Donaldson from Oakland on Nov. 28, 2014, in exchange for four players – left-handed pitcher Kendall Graveman (Wareham, 2012), righty Sean Nolin, infielder Brett Lawrie and minor league shortstop Franklin Baretto. The Aaron award was established in 1999 to honor the 25th anniversary of Aaron breaking Babe Ruth’s all-time home run record. Fans voted on MLB.com and, for the sixth straight year, a special panel of Hall of Fame players led by Aaron also had input. Donaldson is the fourth former Cape League player to win the prestigious award, joining Boston’s Kevin Youkilis (Bourne, 2000) in 2008; Colorado’s Todd Helton (Orleans, 1994) in 2000, and San Francisco’s Buster Posey (Y-D, 2006-07) in 2012. Contributing to this story were Mark Newman, enterprise editor of MLB.com; Paul Hagen, a reporter for MLB.com; and Joe Sherman, Cape League special projects coordinator.